Sheffield's Brendan Moore: Final referee. Those words filtered backstage at the famous old Crucible Theatre and for once, Brendan Moore – calmness personified as one of snooker’s top referees – suffered a rare bout of nerves. Ronnie O'Sullivan talks to referee Brendan Moore in the 2014 world final. 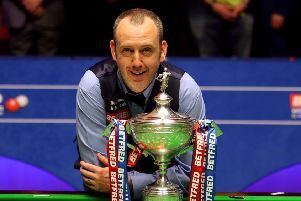 It was May, 2014, and former Sheffield bus driver Moore was about to pull on the white gloves to take charge of snooker’s most glamorous of games, the World Championship final. Over the years, many thespians have suffered ‘stage fright’, but the fact it was taking place in his own backyard – Moore’s old bus route used to pass the Crucible – meant MC Rob Walker’s pre-match chatter to the packed crowd added extra poignance to the occasion. “One of my memories of 2014, is I had never once been nervous refereeing,” Moore told The Yorkshire Post. “Everyone is there to watch the players, not the ref. “But five minutes before I walked out, I could hear MC Rob Walker revving the crowd up. As big-headed as it sounds, I think I have always been a good ref. Moore remembers little about the match – world No 1 Mark Selby beat Ronnie O’Sullivan – but is hoping that when he walks out into the Crucible arena tomorrow to officiate in his second world final he can “soak it all in” this time. “I enjoyed last time, the experience, but I couldn’t tell you much about the game until about a week after when I watched it back,” he said. “Obviously, you see it different when you watch it, to when you are reffing. Moore joined the professional tour in 2005, and officiated at the Crucible for the first time in 2008. 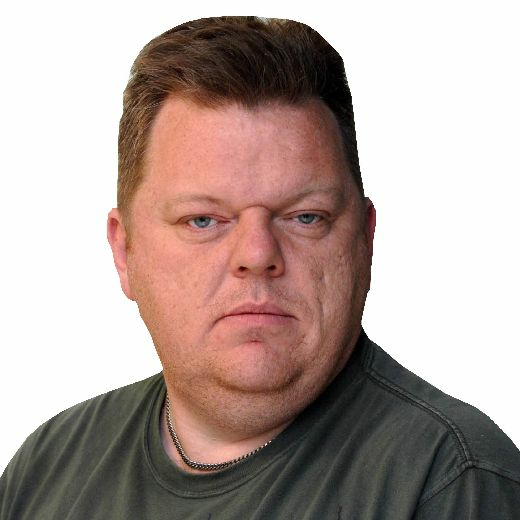 A decade later and the 46-year-old – who still plays snooker in the local Sheffield league – is back in his home city, but has he improved as an official since 2014? “As big-headed as it sounds, I think I have always been a good ref,” he said with a smile. “It sounds wrong to say that. “I am more experienced now, obviously, but I think ability-wise I am the same now as when I reffed in 2014. Just more experienced, and older. “I still see a few of the drivers who are still driving buses, who I used to work with. “You get the odd joke about how far I have come since then. But I liked those days, I enjoyed it. I got out when I’d had enough, but I enjoyed it. “The place where I play snooker, the Transport Club, is still the bus drivers’ club. I have been going there for 40 years, because my dad was a bus driver. Unlike football, officials in snooker receive far more respect from players. 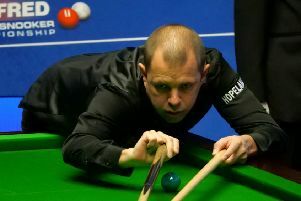 Incidents like the Crucible flashpoint between O’Sullivan and Ali Carter – where the two rivals clashed shoulders, before exchanging words this last fortnight – are not commonplace on the snooker circuit. It means the referee’s job is a lot more sedate than a Saturday afternoon in the Premier League, but Moore – a big Sheffield Wednesday supporter – admits he would relish the challenge of being a football official. “I don’t mind the banter, I sort of enjoy it,” he said. “I am a bit sadistic like that. I am one of those people, who give as good as they get. “I thought about becoming a football referee about 10 years ago. “I was a snooker ref, and thought why not be a football ref. “But what put me off was I used to play football. “Why do I want to get up on a Sunday morning and go out in snow, wind and rain and referee? What of that O’Sullivan-Carter incident? “You sometimes pick up on a little bit of needle between players. It was all a bit of nothing,” said Moore. “(Referee) Paul Collier dealt with it well. As soon as Ali responded to Ronnie, Paul got involved straightaway and said something along the lines of ‘let’s just play’. “I thought it was just one sentence, straight to the point, and handled really well. “We don’t get controversy in snooker. The only bit is the miss rule. You always get the odd player saying a referee has been harsh, but it never gets to the Alex Higgins days. “Any fouls which referees call, they call it because they are fouls, they don’t call it because they think: ‘I am bored, I will just call it’. The players know that. Moore – who has three daughters Lorna (27), Sophie (21) and Caitlin (20) – spends six months of the year travelling the globe officiating at various tournaments. It means time spent at their Meersbrook home, with wife Sharon, is precious, but you will not hear Moore complaining about his hectic schedule. “I reckon I am away from home about 180-190 days a year,” he said. “It’s a lot. In December, just prior to Christmas, I was in York for the UK Championship, straight to the airport and Las Vegas for the Mosconi Cup, back to Scotland, then Barnsley for the qualifiers. It was 31 days, straight, either working or travelling. “The snooker (season) finishes (in Sheffield) on Monday. I have a week off, then straight to Burton for three weeks of Q School, and we start all over again. “But I certainly don’t say it as a complaint, as I love the job and love to travel. I love what I do. “The only downside is the amount of days that I am away from home. “But I get lucky, with this 28-day event – that’s what it is with the qualifiers – I am at home in my own bed. The other refs are in a hotel. “Sheffield is the only event where I stay at home, Even when we go to Barnsley for the qualifiers, I don’t risk travelling because I know what the motorways can be like, so stay in a hotel. “My three daughters are all grown up, moved out and got their own lives now. I have been doing this that long, it’s normal now. We don’t really have a holiday. We have a dog, and we used to have a caravan. We just do little breaks.